Heat oven to 350°F and line a baking sheet with parchment paper. Place small mounds (about 2 teaspoons) of the cheese on the parchment paper, leaving 2 inches between each mound. 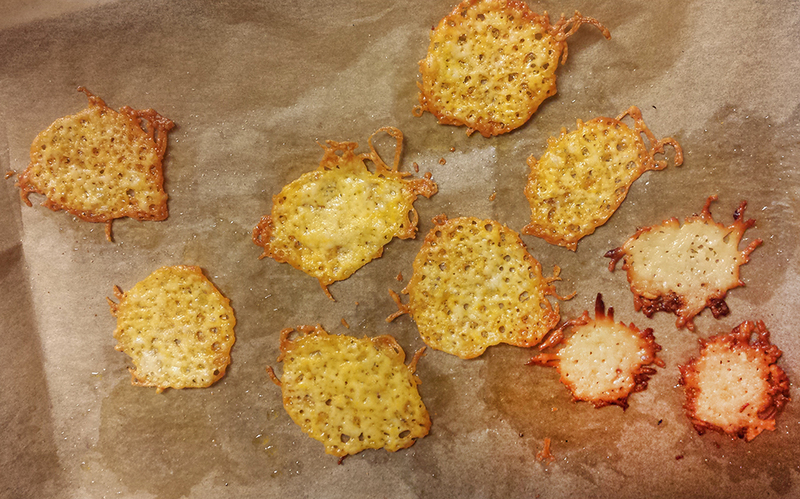 Bake until the cheese is golden brown and lacy, 5 to 7 minutes. Let cool on the parchment before removing with a thin metal spatula.